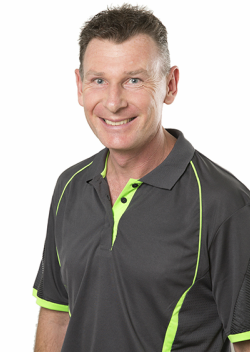 Ross Walter is an award-winning Nutritionist & Naturopath who is passionate about helping people with their health through nutrition, lifestyle advice and changes, use of holistic modalities, and education. Like many alternative health practitioners, Ross had health issues in the past, and used traditional medicine to help. Such issues included many infections (as child and adult), teenage and adult acne, weight gain, stress, (undiagnosed) depression and anxiety, insomnia (sleep issues) and more. But the treatments and medicines either didn't work or made things worse, and the doctors had not further ideas to use. Ross had to find other treatments to help resolve his issues, so he turned to alternative remedies of Nutritional Medicine, Naturopathy and others! Ross became interested in Nutritional Medicine and Naturopathy as a result of being able to naturally resolve his past health issues and wanted to be able to help others to do the same! He completed qualifications in Nutritional Medicine, Naturopathy and Western Herbal Medicine, and completed many other courses and seminars too, and combined with years of experience in practice, he can help you too! Ross also comes from a family of alterative therapy practitioners, who seek to use safe, natural and holistic (ie, whole body) approaches to treating any health condition, and helping you to achieve your personal or health/fitness goals. Ross also believes in informing and empowering people to take control of their health, through education and proven holistic treatments that resolve the actual cause of any health condition. Ross has great technical, analytical and troubleshooting skills (from his past career in the IT industry!) to identify all possible causes of your health issues, and to treat the causes, to clear your symptoms and return you to health! He specialises in resolving complex long-term conditions or symptoms by looking at them in his unique way, to find all the root causes.